Closed-End Blind Rivets are commonly used to secure and completely seal the hole of a joint. The closed-end feature has two distinct benefits that customers desire: Leak Resistance in roofing, metal building or watertight applications. 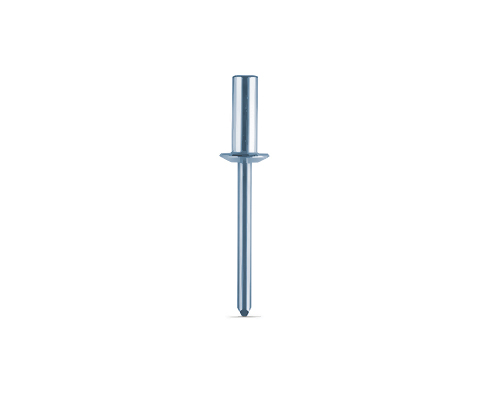 The other benefit is mandrel encapsolation which is important in electronic assemblies which may be sensitive to mandrel-ball swarf that could fall out of an open end rivet, bridging electronic connections and causing premature failure of the component. 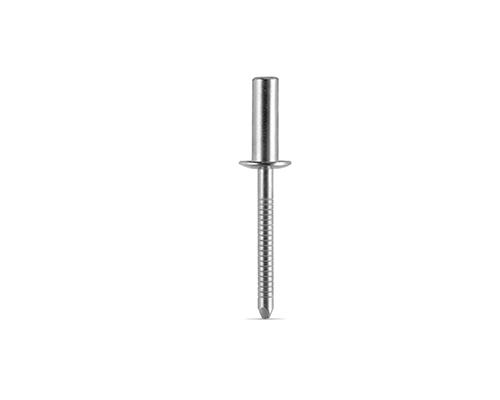 The closed end feature does not let the mandrel ball fall out of the riveted assembly. They are offered in a variety of materials each of which provide specific benefits such as joint strength, material compatibility, corrosion resistance and cost. 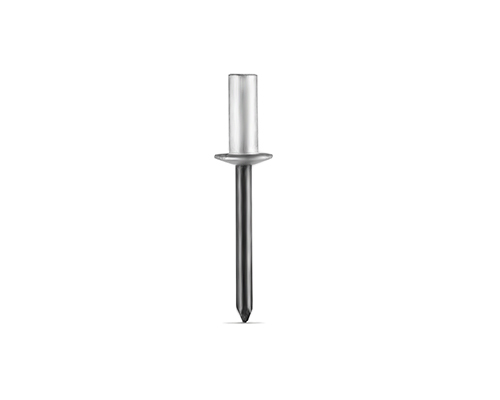 Closed-End blind rivets are a good solution fasten components with a properly prepared hole and well identified material thickness.